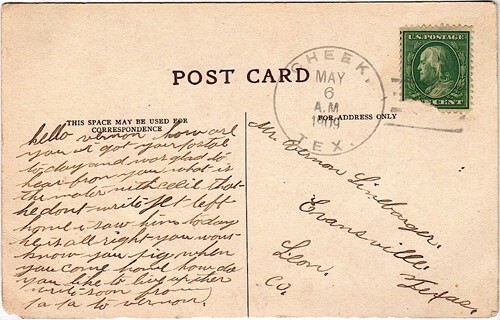 Named for J. R. Cheek, the community was platted in 1906 when rice cultivation was still relatively new. 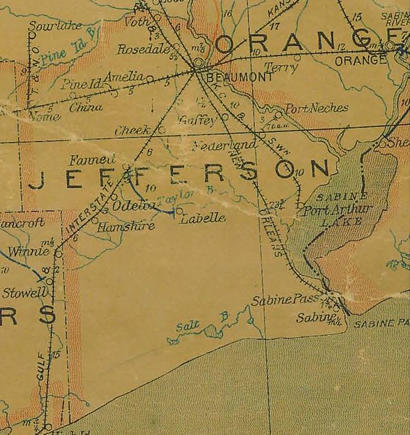 Cheek had the good fortune to be alongside the tracks of the Gulf and Interstate Railroad. Most residents were rice farmers who used the canal system belonging to the Beaumont Irrigating Company. Cheek’s population has always been small. Forty residents were reported there in the mid 1920s. It’s proximity to Beaumont (to say nothing of being surrounded by rice fields) created a feeling of isolation. The school district had a PWA school built during the Great Depression, but it was consolidated with Beaumont schools in 1951. The population is still well under 100 (62 reported for both the 1990 and 2000 census). Cheek’s location is marked by the large Goodyear plant (nearby). Visible from Interstate 10.